A dealer in The Mobility Resource network can help you secure financing for both your van and the conversion equipment. Apply now online. It’s convenient, secure and confidential. The road to independence begins with adaptive driving equipment. Discover how the Adaptive Driving Alliance can make mobility affordable for you. Veterans, we appreciate your service and commitment to our country. We are determined to assist you in finding the mobility solution that meets your needs. Check here for special promotions from dealers and original equipment manufacturers like BraunAbility, Mobility SVM and Bruno. And come back often, promotions change frequently. The Mobility Resource is happy to provide this comprehensive list of rebate programs offered by vehicle manufacturers. Rebate programs can change frequently, so check back often. 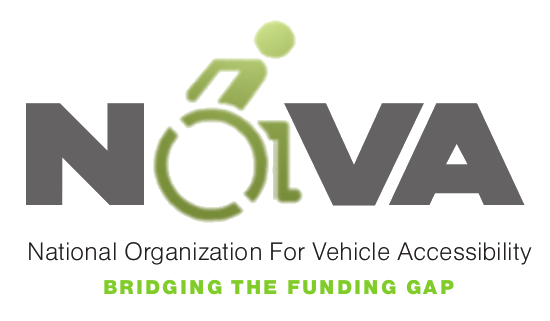 The National Organization for Vehicle Accessibility (NOVA) was created for a simple purpose: to assist those with mobility needs through education, information and product acquisition. NOVA works nationally to provide vehicle modification grants to individuals with disabilities in need of financial assistance. Our interactive map will help you find grants available in your state to help finance an accessible vehicle, scooter, lift, adaptive driving equipment and other mobility solutions.